The spring rains are finally here, and present a great time to scatter seedballs. 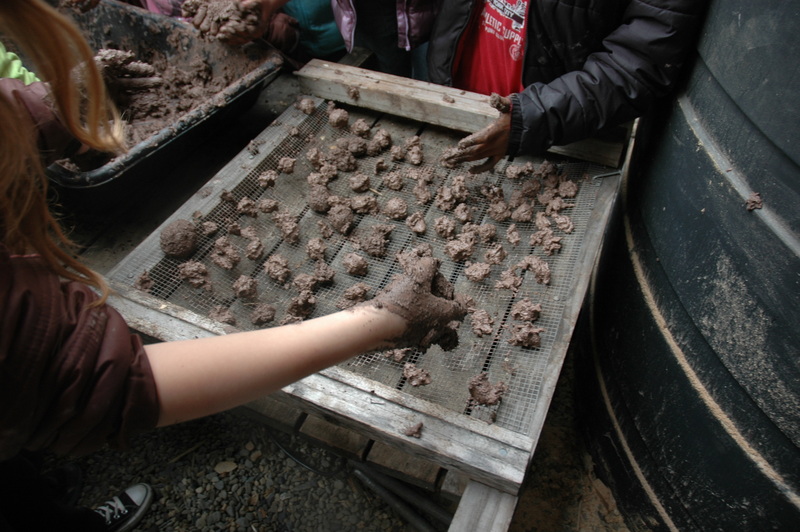 Making seedballs is a fun activity for groups of kids and adults alike. Shape into large grape size balls, and scatter! The clay holds the ball together and the compost provides nutrition once the seed has sprouted. Use wildflower seeds and scatter the seedballs throughout vacant city lots, creating habitat for butterflies and honeybees!